Fall is one of the greatest seasons in Ohio, with cooler weather and so much to do. There are over 120 events celebrating fall and Halloween in Columbus, so there’s no shortage of fun, fall festivals, pumpkins, and spooky (or silly) Halloween events. You’ll find pumpkin patches, scary movies, food festivals, Halloween parties, trick-or-treat activities, events for kids, and events for adults! Trick or Treat, or Beggar’s Night, is scheduled on Halloween for most communities around Central Ohio; check out the Trick or Treat schedule here. There are over 30 community events with trick or treating or trunk or treating (updates in October for safer (and daytime) alternatives to Beggar’s Night. There are also 25+ parties at the local community centers during the month of October to get you in the Halloween spirit. If you don’t know what to dress up as for all of these Halloween events, check out these 100 Cheap and Easy DIY Halloween Costumes. Don’t forget – there are plenty of places to eat free or cheap on Halloween, including Chipotle, Krispy Kreme, and more! More will be coming as Halloween event details are released. 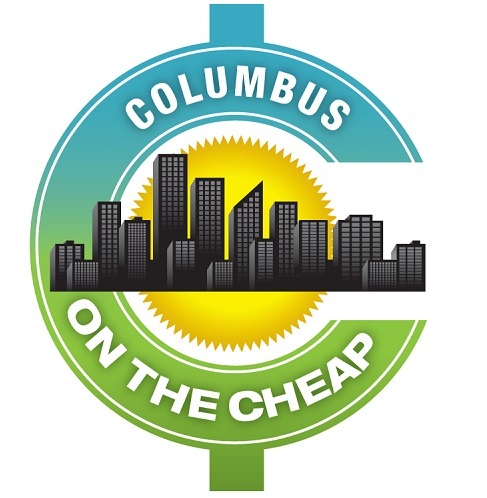 If you know of any other events that should be featured, please email news@columbusonthecheap.com. We are accepting business or event sponsorship ads for this page; please contact ads@columbusonthecheap.com if you are interested. Haunted Halloween Party at The Disney Store: Every Saturday in October at 1pm, 2pm and 3pm, enjoy a frightfully fun Haunted Halloween Party and receive a free Mickey Mouse pumpkin light up wristband. RSVP required to participate. Contact your local store. Event is intended for Guests ages 3 – 12 and limited to 20 participants per event. Giveaways are limited and and will be given to Guests ages 3 – 12 that RSVP. Boo ‘N Brew Fall Fun at Polaris Lifestyle Center: Every Saturday in October from 11 am – 2 pm, head to Polaris Lifestyle Center for the Boo ‘N Brew Fall Festival. The festival features a beer garden and lots of family-friendly activities throughout the lifestyle center that will get you in the mood for Halloween! Freeman’s Farm Fall Festival: Saturdays and Sundays through October Freemans Farm visitors enjoy hayrides through scenic woods, campfire concessions (hotdogs, chili, chips, beverages), a farm animals petting area, delicious fresh popped kettle corn, scarecrow making, and apple butter making demonstrations over an open fire on select days. Fall treats and decorations include pumpkins, fall squash, gourds, decorations, jelly, jams, apple butter, candy, apples, cider and fall gifts. Admission is free. There is a charge for food, some activities, and items purchased in the fall market. Festival hours will be Saturdays (10 AM – 5 PM) and Sundays (11 AM – 5 PM) starting September 22 and ending October 28. Bring your cameras to capture those memorable family moments! Boos and Brews Tour: Haunted History: Various days, October 9-November 1. 2.5-hour*, walking tour, visiting a number of locations through the Short North, Arena District, and Downtown. Each location has its own tale and experience. From a cold winter murder to a hot prison fire to secret tunnels under the city, Columbus is full of haunted tales. This tour gives you a chance to learn and experience these stories over a drink during our several stops. Drinks purchased separately. Costume & Candy Crawl at Kingsdale Shopping Center: October 25 from 6 pm – 8 pm Meet at the Green (the grassy area in the middle of the center) to collect your Trick-or-Treat bag before walking the shops. We’ll also have a costume contest, professional face painters, and balloon artists! Free for kids 12 and under. Fall Scavenger Hunt at Kingdale Giant Eagle: October 25 from 6 pm – 8 pm. Join the hunt around the store for goodies and prizes; costumes are encouraged but, not required. Held in conjunction with the Costume and Candy Crawl (see above). Trick or Treat at the Shops at Worthington Place: October 26 Safe trick or treating at the mall, plus crafts, face painting, balloon artists and more. Howl-O-Ween at Ohio Wildlife Center: October 26 and 27 Walk through the White Tail Trail, visits from “spooky” Animal Ambassadors like owls Bella, Alex and Woodsy, snakes Checkers, bats Echo, and Percy and Lenore, our American Crows. $5 per person ages 6 and up or bring a donation from the wishlist. Ghost Trolley with Ohio Railway Museum: October 19-20, 26-27 Fun, not scary Halloween event for young kids. Tour the decorated street cars and enjoy a lights out ride on the trolley about the Ghost Trolley. Great Pumpkin Celebration at Cabela’s: October 20 & 21, 26-31 Free photo with the Peanuts gang (and a $5 photo package option), crafts and pumpkin toss at Cabela’s (and Bass Pro Shops) from noon – 5 pm. Trick-or-Treating and costume parade on Oct. 27 and 31, and other fun activities and freebies. Barker & Beggars in the Short North: October 27 from 11 am -2 pm Its your dog’s time to shine! Dress your pups in their Halloween costume and let them show off in the Short North! The Sixth Annual Trick-or-Treat event for dogs is happening the morning of HighBall Halloween. Stop by the Barkers & Beggars Pup Hub, (997 N. High St.) to pick up a map and a doggy bag for collecting treats and goodies from participating businesses. In lieu of a participation fee this year, consider making a donation to Columbus Humane ($5 suggested). Boo ‘N Brew at Polaris Fashion Place: October 27 Fall festival with beer garden and lots of family-friendly activities throughout the lifestyle center. Live music, trick-or-treating, costume contest, parades and more! A Haunted Night in the Gardens: October 27 Walk through a haunted maze at Hoover Gardens, play games and win prizes, enter acostume contest, get your face painted, paint a pumpkin ($2), eat popcorn and warm yourself with hot apple cider. Fall Harvest Festival at Granville Inn: October 27 Fall harvest festival is open to all ages during the Granville Chili-Cook-Off. Games, crafts, pumpkin carving and story telling will all be on-site on the front lawns of the Granville Inn & College Town House. Family Harvest at Slate Run: October 27 from 2-5 pm. Enjoy a hayride and apple cider, and pick Indian corn and pumpkins to take home. Meet at Slate Run’s Buzzard’s Roost picnic area. Trick or Treat at the Conservatory: October 27 and 28 Free with admission. Dress in costume and travel to treat stations in the Conservatory and in the Children’s Gardens. Rocky Horror Halloween Show at Studio 35: October 27 The midnight cult-classic experience. The Tim Curry film will roll, and a live cast will perform in front of the movie. There is a pre show with costume contests and more. tickets are $10; will sell out. Fall Fun Day Tram Rides at Blendon Woods: October 27-28 from 1-4 pm. Special Needs “Trick or Suites” at Embassy Suites Columbus: October 28 from 3-5 pm The Autism Society partners with Embassy Suites Dublin to provide a fun and safe environment for special needs individuals of all ages and their families to enjoy trick-or-treat. Activities include goody bags, trick or treat booths, games and crafts, and more. Registration is required. Halloween Family Funday at North Market: October 28 Crafts, trick or treating starting at 11 am, face painting, games, farm animals, music and more! Inniswood Halloween Party: October 28 from 2-4 pm Join us in the Gardens for activities and crafts as we celebrate this traditional holiday. Boo on Broadway in Grove City: October 31 Family-friendly alternative to the traditional door-to-door Beggars’ Night allows children to dress in costume and safely collect candy and other goodies from area businesses and civic organizations in the Grove City’s Town Center Promenade. BEGGARS NIGHT: October 31. Most communities host their trick or treat night on Halloween, October 31. Check our listing to see trick or treat for communities around Columbus. Free Scary Face Pancakes for kids at IHOP: October 31 Free Scary Face pancake to kids (12 and younger) from 7 a.m. to 10 p.m.
It’s always a good season for a happy hour, so find one in your area here! Harvest Festival, Columbus Commons: September 29 Family-friendly rides, games, and activities. Some activities require a $5 wristband. Boo ‘N Brew at Polaris Fashion Place: October 6, 13, 20, 27 Fall festival with beer garden and lots of family-friendly activities throughout the lifestyle center. Live music, trick-or-treating, costume contest, parades and more! Boo ‘N Brew at Polaris Fashion Place: October 13, 20, 27 Fall festival with beer garden and lots of family-friendly activities throughout the lifestyle center. Live music, trick-or-treating, costume contest, parades and more! Mommy & Me Fall Ball at Sunny Street Cafe Polaris: October 16 Join us for everything you love about the Fall. With Pumpkins, Apple Cider, Apples, Arts & Crafts for the Kids, and of course our Kids Dino Pancakes for only $1 (comes with our awesome kids toppings bar, and of course there will be Candy Corn!) So come dressed in your favorite costume and get a picture. COSI After Dark: Pick your Poison: October 18 COSI at night, just for the grown-ups! Dublin Halloween Spooktacular: October 18 Trunk or treating, pictures with special guests, dancing, food trucks, The Turtle Lady, The Bug Man, the Shazzbots, and other Halloween related crafts and activities. Mighty Halloween Party by Mighty Children’s Museum: October 19 from 6-8 pm. Spooky snacks, crafts, and fun! Each adult and child must purchase a ticket. Costumes are encouraged! Halloween Treat Trail Party at Everal Barn: October 19 FREE; Ages 8 and under will enjoy carnival games along the treat trail; Halloween Bingo, and Vendor Alley. Don’t forget to enjoy the horse-drawn carriage ride through the park. Remember to wear your costume! Halloween Family Fun Night at Three Creeks Metro Park: October 19 from 6-7:30 pm. Not-too-scary stories and s’mores at the campfire and go trunk-or-treating for candy. Kids of all ages encouraged to wear costumes. Meet at Confluence Trails bulletin board. North Columbus Civitan Halloween Dance: October 20 Halloween Dance for the Greater Columbus Special Needs Community. The dance is free of charge. Costumes are encouraged but not required. Refreshments will be provided. Registration is not required to attend. The dance is open to everyone in the Special Needs Community and their guests 15 years old or older. No one will be turned away. Boo ‘N Brew at Polaris Fashion Place: October 20 & 27 Fall festival with beer garden and lots of family-friendly activities throughout the lifestyle center. Live music, trick-or-treating, costume contest, parades and more! Kidslinked Treat Fest at SuperKick Columbus, Lazer Craze, and Sky Zone in Lewis Center: October 20 from 9 am – 1 pm. Treat Village, Races, Video games, Bounce Park, characters, costume contests, and more. Halloveen All Treats, No Tricks Bash at Tuttle Mall: October 20 Come in costume for spooky family fun and activities based on Vampirina and your favorite Disney Junior pals! Trick or Treat Trail at Gallant Woods: October 21 Gather treats from characters along the s-p-o-o-k-y trail. Decorate pumpkins, enjoy a hayride, & vote for your favorite scarecrow. Fun at Gallant Farms afterwards.